If you’ve been striking out in your search for the perfect used pickup truck at the right price in the Greenville, North Carolina area, then you owe it to yourself to explore what we have in store at Doug Henry CDJR. We make it easy to find exactly the right truck to suit your needs, preferences, and budget. With a huge selection of pickups in a variety of configurations, cab and bed sizes, price points, and brands, we strive to make sure there are fantastic options for every shopper. Among our inventory of used trucks, you’ll find representatives from all the big names in trucks – RAM, Ford, GMC, Chevy – all at attractive everyday prices. There are other savings opportunities here, as well: We offer an ever-changing lineup of featured vehicles featuring discounted prices and special offers you’ll find hard to pass up. If you want to start from an especially budget-friendly place, check out our selection of used vehicles priced under $10,000. Otherwise, you can explore our online inventory using the search filters that will leave you with a handy list of just the used trucks that meet your specific criteria. Then, as soon as you arrive at our Kinston dealership, one of our friendly sales associates can put you behind the wheel of your favorite models so you can do some firsthand comparisons. Once you’ve found your ideal used truck, our financing team will go to work getting you a great loan with low interest and attractive terms to make your purchase as easy on your budget as possible. And while price is undeniably important, your time is also valuable. On our website, you can streamline the financing process by filling out a credit application and get a better idea of how much vehicle you can actually afford by valuing your trade. Whether you’re looking for a used truck to serve as a heavy hauler at the job site, a family transportation vehicle, a capable adventurer for off-road journeys, or some combination of all three things, you’ll find a number of worthy options among our used truck inventory. What’s more, you’ll find them at amazing prices. Make sure to act fast, though – our used vehicles are such an ideal blend of quality and value that they never stick around for long. 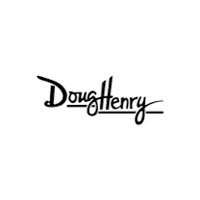 So hurry in for a test drive of the used pickups that catch your eye and find out about the incredible savings you’ll get when you buy from Doug Henry CDJR.